Eduardo Lonardi briefly served as de facto President of Argentina after leading a military coup which forced Perón to flee the country. Dubbed the Liberating Revolution, the military’s reaction to Peronism would influence politics well into the 21st century. The year was 1955, & Perón had been in power for almost a decade. His policies & political style had generated controversy among Argentines for several years, but those differences were heightened after the death of Eva Perón in 1952. Lacking the charisma of Eva & eventually seeing the results of bad economic decisions, Peronism lost its early strength & the military attempted a coup in June 1955. 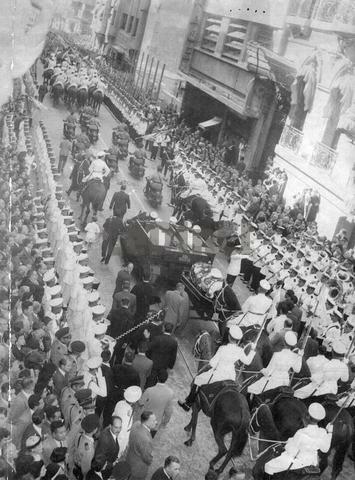 The daytime bombing of Plaza de Mayo & the Casa Rosada resulted in 364 deaths & over 800 casualties… but Perón was not one of them. He managed to escape unharmed. 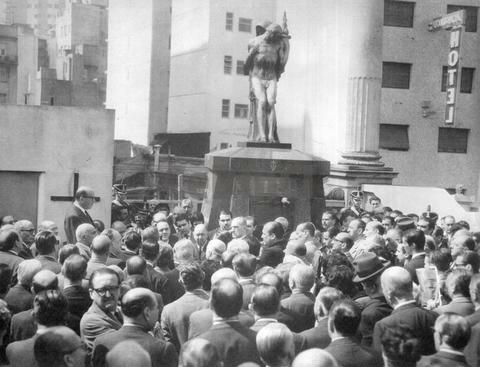 A few months later in Sept 1955, Lonardi successfully attempted another coup in the city of Córdoba which spread through the rest of the nation. 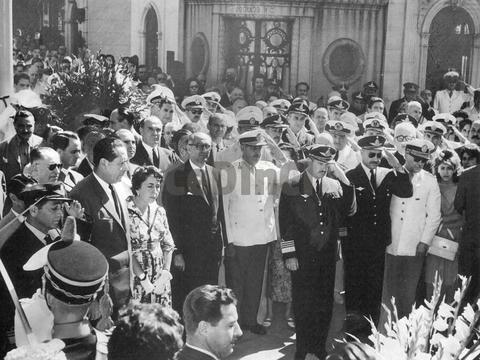 Perón resigned from the presidency & Paraguay granted him safe passage to Asunción. Lonardi was proclaimed President, but his term was to be short… only 50 days. Realizing the seriousness of ousting a populist leader like Perón, Lonardi thought a lenient attitude to Perón supporters was wise. This conciliatory stance was the origin of his most famous quote, “Neither victors nor vanquished.” In other words, the military should not be seen as victorious over the Peronists, nor should the Peronists consider themselves vanquished. Unfortunately Lonardi’s Vice-President didn’t agree. 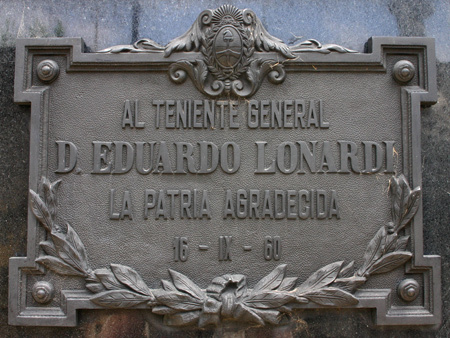 Wanting to try over 300 Peronistas for treason, Lonardi was forced by fellow members of the armed forces to step down. 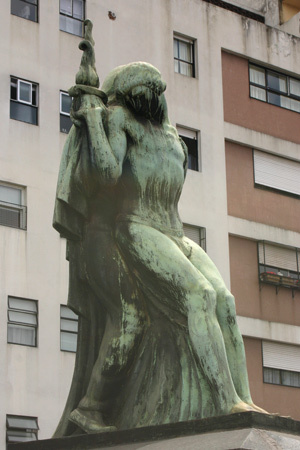 Pedro Aramburu took Lonardi’s place & remained de facto President of Argentina until elections were held in 1958. 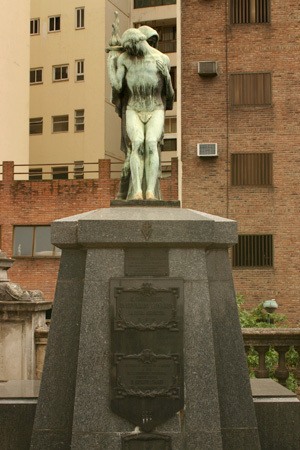 Lonardi died 4 months after leaving office, the result of cancer which many say encouraged him to lead the uprising against Perón. If he had failed, he only had a few months to live anyway. 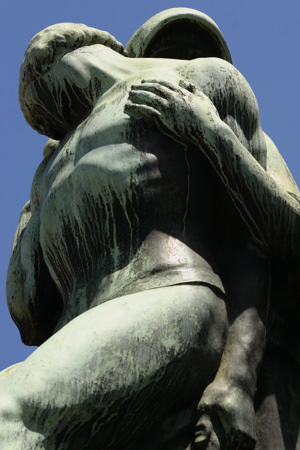 An Art Deco sculpture from 1928 signed by local artist Luis Carlos Rovatti draws a lot of attention. 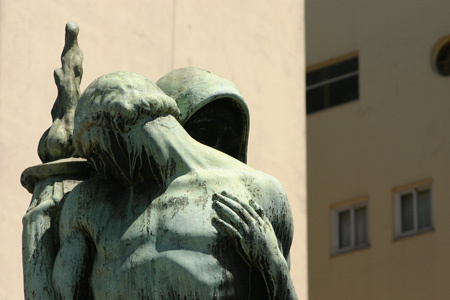 Depicting a fallen soldier with a sword in his left hand, a cloaked woman helps support him as well as his eternal flame. Provocative enough to get carried away with lots of photos. 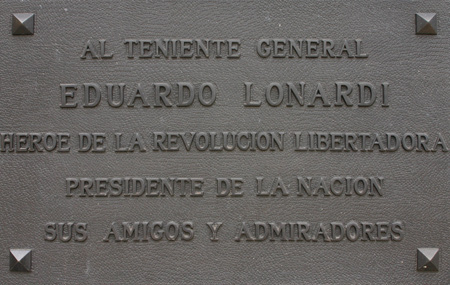 Numerous plaques pay tribute to Lonardi’s role in the Revolución Libertadora. I have the same last name but I am Italian. Not sure how this would corrilate with argentina. Most immigrants to Argentina were Italian, so the majority of people retain those last names. 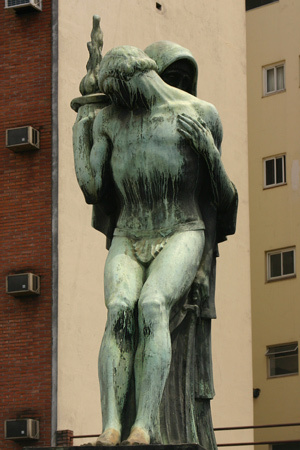 Very unique in South America.